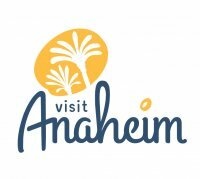 Looking for a hotel close to the Anaheim Convention Center? The Clarion Resort Anaheim is happy to accommodate you! The Anaheim Convention Center is the newest and largest convention center on the West Coast and one of the largest convention centers in the world. Guests of the Clarion Hotel Anaheim stay within a 2-minute walking distance of the Anaheim Convention Center. Complete business services and high-speed computer access are available 24 hours a day to assist you with all of your convention needs. Our award winning, Clarion Anaheim Hotel is a seamless blending of style, comfort and convenience offering the perfect choice for meetings from 5 to 500. With nearly 7000 square feet of flexible function space available, we can accommodate corporate meetings, weddings, or any event needing meeting space.